A Russian rocket carrying a three-man crew to the International Space Station has blasted off successfully from the Baikonur Cosmodrome in Kazakhstan. 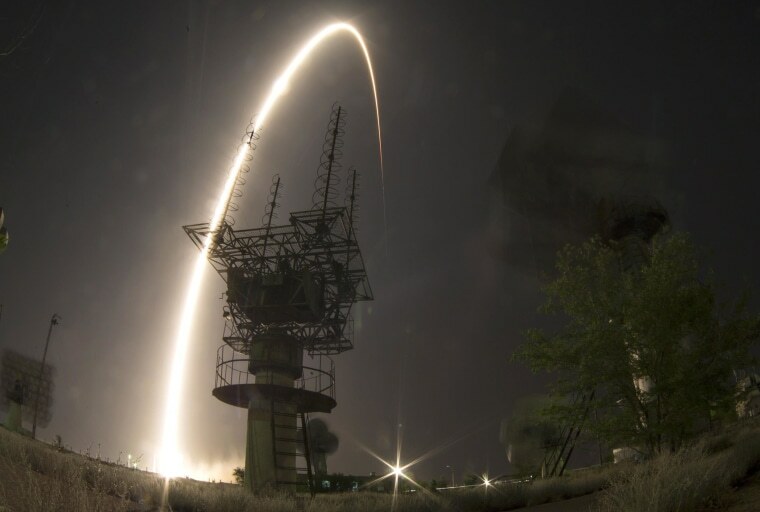 The Soyuz booster rocket lifted off as scheduled at 1:57 a.m. Thursday (1957GMT Wednesday) and soared into the darkness over the Central Asian steppe in what a NASA commentator described as a "flawless launch." The crew — NASA's Reid Wiseman, Russian cosmonaut Max Surayev and German Alexander Gerst of the European Space Agency — were set to arrive at the orbiting station less than six hours later and remain there for six months.